Without thinking about it, a lot of times we allow Facebook apps to have a lot of control over our information, including posting for us. Here’s how to stop it. One thing that’s certain about Facebook – there’s plenty of spammy notifications cluttering up your notifications. 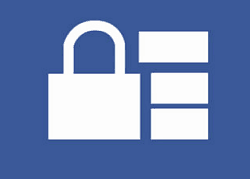 But a lot of times when you install an app or join an online service, they automatically link to Facebook. This can be a convenience but often times is just an annoyance. For example, do you really care what you’re friends are currently listening to on Spotify? Or do you really want to broadcast to everyone what you’re listening to? What if it’s Justin Bieber…embarrassing! 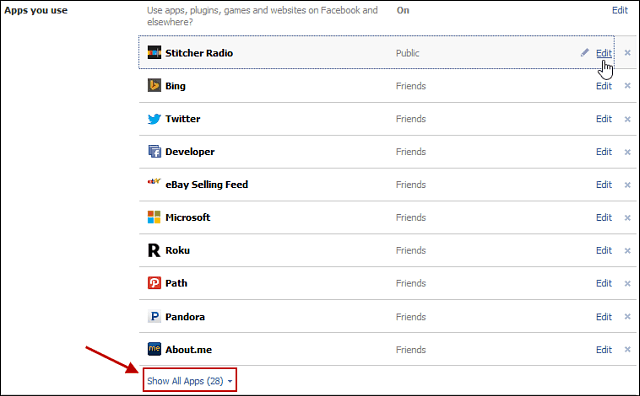 Here’s how to stop apps from broadcasting without your permission. 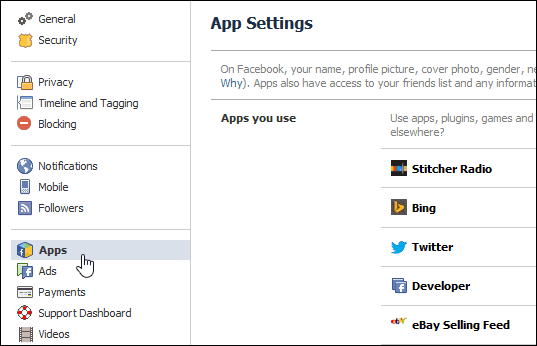 First, sign in to Facebook and click the gear icon at the upper left corner and select Settings. Then from the list on the left select Apps. That will open the App Settings page. Now go through the list and find an offending app and click Edit. Note that you might not see it on the list that’s displaying. If that’s the case, click the Show All Apps link. Then in the details of what the app can do and has access too click the Remove icon next to Post On Your Behalf. 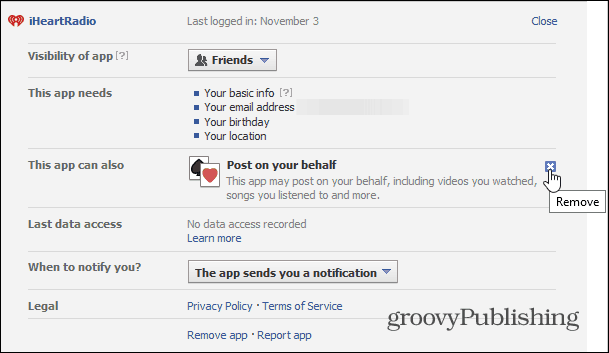 Follow the same steps for the apps you don’t want posting your activity. No one needs to know what videos or songs you’re listening to. Plus you’ll be doing your friends a favor by not broadcasting as much to their notifications. 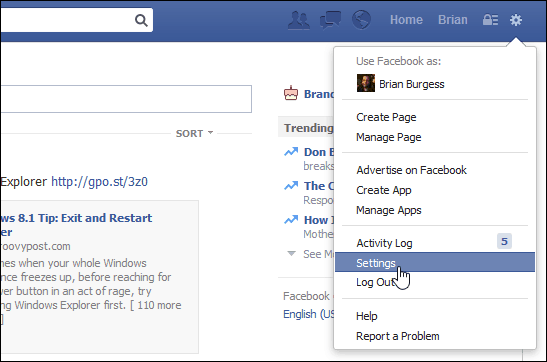 Of course, if you’re just sick of fighting Facebook on the privacy front, then you can permanently delete your account. how to delete all posts that were posted on my behalf please.